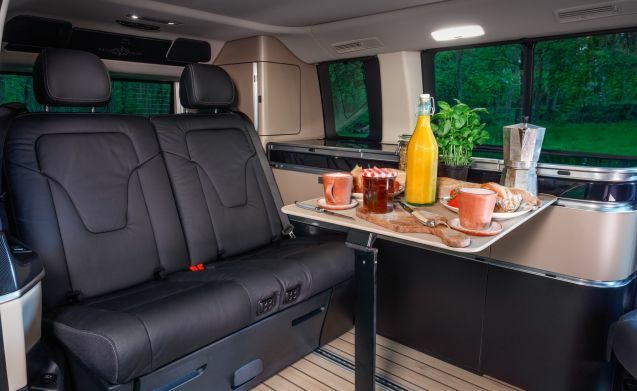 Traveling with this very complete luxury V-class Marco Polo is a great experience! Explore the most beautiful places in the world together! 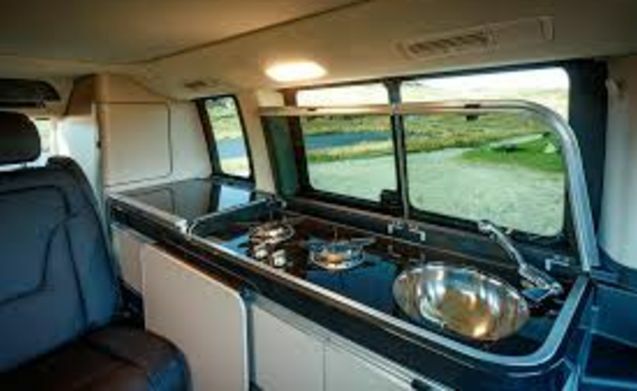 This with the most luxurious motorhome that you can imagine. 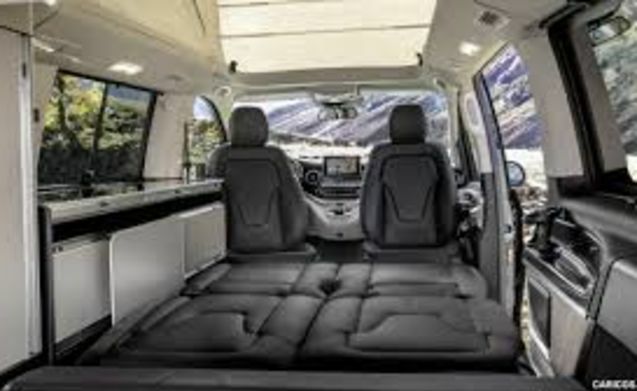 Basically, the Mercedes-Benz V-class is already an absolute winner when it comes to comfort and performance. 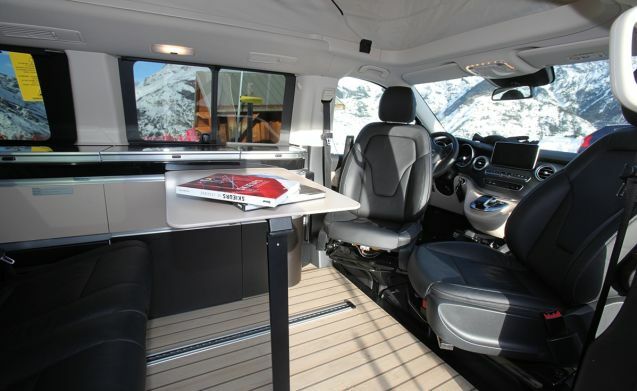 Take the adjustments that Westfalia has made to also raise the motorhome to a high level, so enjoy! 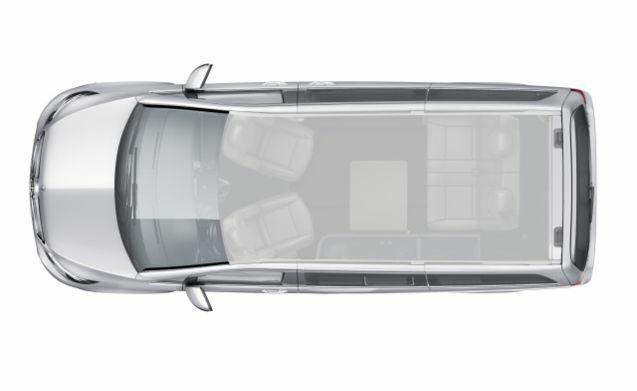 A very luxurious version: automatic transmission, navigation system, leather upholstery, reversing camera, multimedia system, powerful engine and much more. 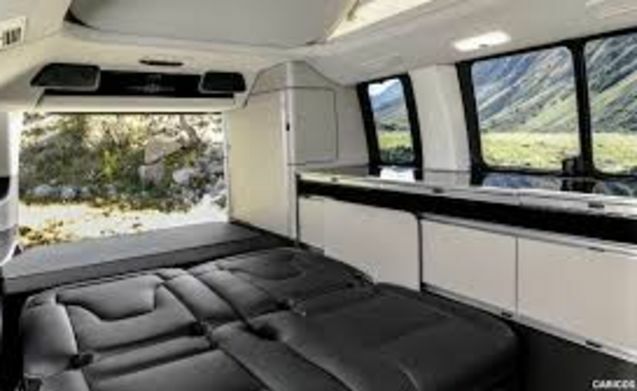 The camper has 4 seats and sleeping places. 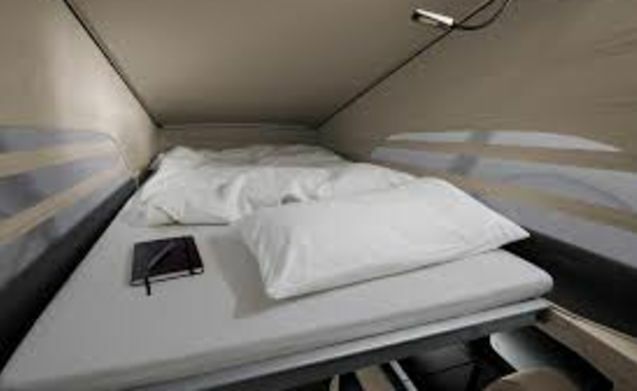 A double bed upstairs and the seating area can be converted to a double bed downstairs. Furthermore, a kitchen with 2 gas rings, sink and fridge. 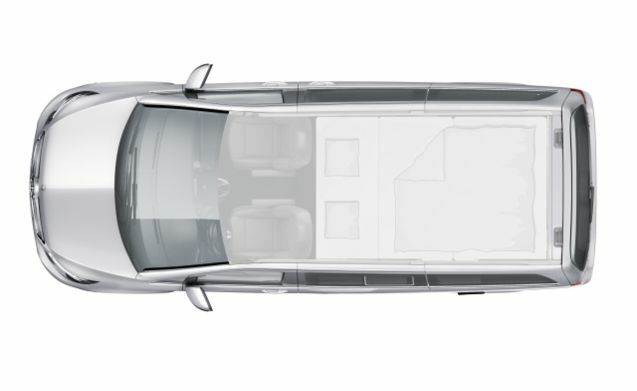 The Marco Polo has the necessary storage space. Also complete inventory on board. The motorhome is delivered clean and fully refueled. Please also return the camper clean and filled up!